Pythagoras is a name most have us have heard of, but he is an enigma. The trouble is trust. Can we trust what we read about him? 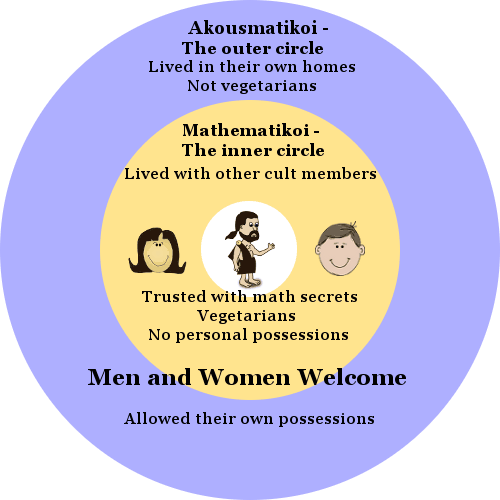 We DO know about the beliefs of a religious-mathematical cult called the Pythagoreans, and we DO know that the Pythagoreans made great advances in mathematics. When the Pythagorean cult started, it was very secretive. 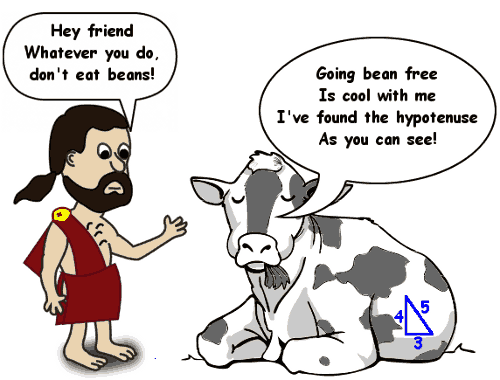 After Pythagoras died, the secrets began to be revealed. 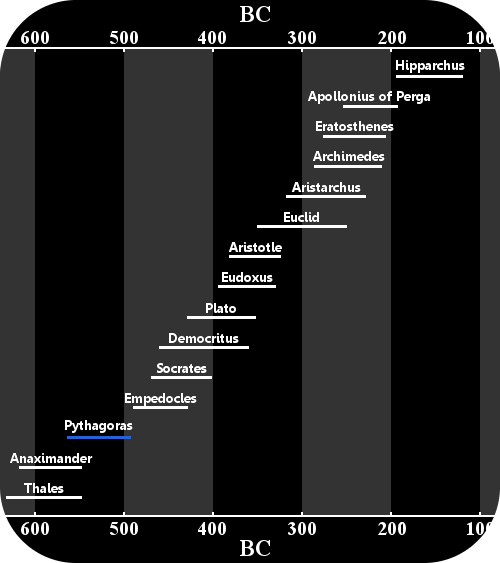 Pythagoreans believed that everything could be reduced to numbers: the whole universe had been built using mathematics. They said the truth behind the everyday reality we experience lies in numbers. 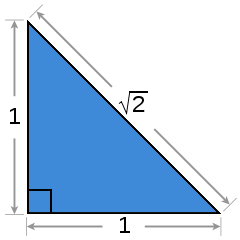 For a right-angled triangle the sum of the squares on the other two shorter sides equals the hypotenuse squared. 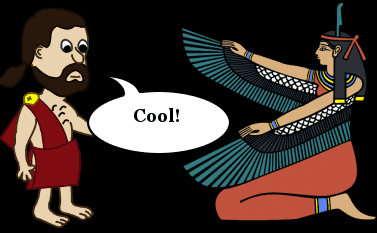 Pythagoras learned this rule from the Egyptians and Babylonians. It bears his name because Pythagoras was probably the person who proved it was true for all right angled triangles. If you try to write √2 as a decimal fraction, the digits after the decimal point go on forever with no repeating pattern. Even today, the horror of the Pythagoreans in finding such numbers stays with us in our use of the word irrational to mean crazy or illogically wrong. 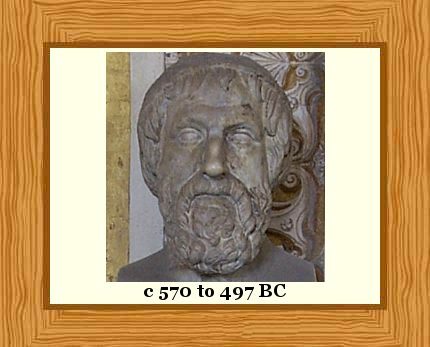 Pythagoras himself established the existence of the first three solids – probably from his time in Egypt and Babylon. 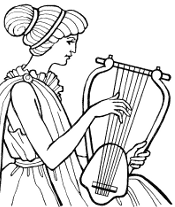 Other Pythagoreans probably discovered how to construct the other two. The solids are the tetrahedron (4 sides), cube (6 sides), octahedron (8 sides), dodecahedron (12 sides) and icosahedron (20 sides). 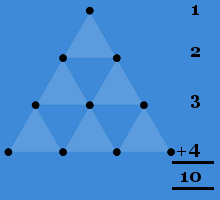 "Pythagoras." Famous Scientists. famousscientists.org. 04 Aug. 2014. Web.